Twice in the last two days we have received résumés without an indication of the language pair(s) in which the person in question works. Sending out résumés uninvited has a low enough success rate already: don't stack the deck further against yourself! The first thing visible on the résumé, on the same line and in the same (large) font as your name, should be your language pair (or pairs), and an indication of what you do. Beside that, localize your résumé, so that it conforms to the standards used in your target market or country. You can find more information on what to do in your résumé in my artcile "How Not to Get Hired". 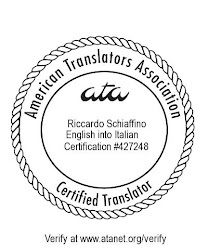 Please make an Resume for the translators and make Title as an mandatory field. When any language translator fill this form he put Title according to their qualification and work experience. When you are making a resume for the post of an Translator, you need to follow some little and useful tips like:- Put your title and past language experience in your resume with complete details.